United Kingdom private flights available 24 hours a day, 7 days a week from Air Charter Advisors, your global source for leisure and executive air charter service, private plane sales and acquisitions, and aircraft management throughout the United Kingdom. Our Wyvern-certified air charter company offers competitively priced hourly rates and free quotes for UK air charter service using any destination around the world. We carry some of the highest safety standards in private aviation, and offer on-demand access to Wyvern Wingman/ARGUS platinum aircraft for corporate groups and executive travelers. Call us at 1-888-987-JETS (5387) or request a free quote to arrange your air charter service to the UK. Our business and luxury jet rentals are available 24 hours a day no matter where you’re located, whether you’re in Great Britain, any of the commonwealth nations including Canada, India, Australia, the Bahamas, or any corner of the globe. Hire a private plane to England, Scotland, Wales, and Northern Ireland with our United Kingdom private jet charter service. We offer on-demand air charters with services extending around the globe, and can have you in the air in as little as 4 hours (or less). The UK is home to one of the largest business and commercial aviation markets in the world. 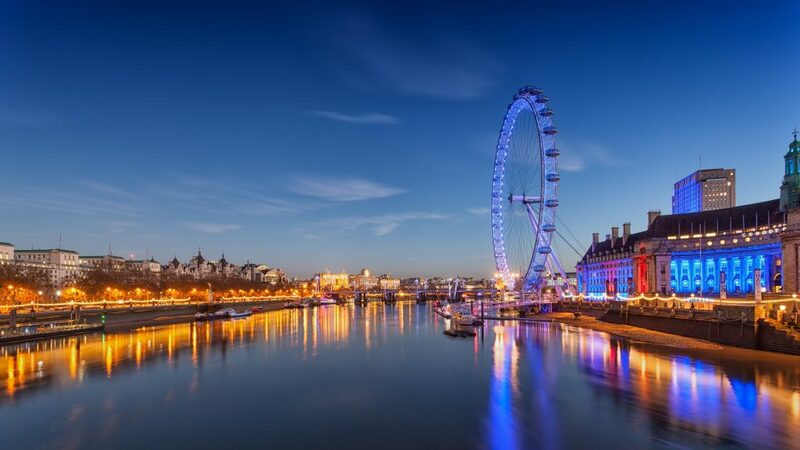 London, its capital city, is one of the largest and most important global centers for business and finance. There are thousands of private planes based in the UK available for your charter flight, and busy jet schedules around Great Britain allow our brokers to locate empty leg jets and offer amazing deals to our clients. Flying private to the UK for a leisurely stay? Explore medieval castles, ancient religious sites, historical monuments, picturesque hikes, incredible museums, and one of the most storied histories of any nation after your private plane charter to the United Kingdom. The ideal months for private jet travel to the UK is during the warmer spring months of April and May, and again in September and October when the early fall weather is more comfortable. Although the summer months are the busiest period of events, festivals, and more, and both luxury and executive travelers will enjoy smaller crowds and more relaxing weather during these spring and fall months. One of the busiest private jet markets in the world, England is the largest country in Great Britain and home to London, capital of the UK and one of the most important and influential financial and cultural centers in the world. England is the birthplace to some of the most influential artists spanning centuries, from Shakespeare, Jane Austen, and J.R.R. Tolkien, to The Beatles, Radiohead, and Banksy. It’s also home to Stonehenge; Bath’s Roman spa; centuries-old, world-renowned universities at Oxford and Cambridge; and much more. Scotland is the northernmost country in the UK, featuring a variety of terrain, from mountain wildernesses to numerous glacial glens and lochs. Edinburgh serves as the capital and is famous for its iconic hilltop castle and fringe festival, while Glasgow is renowned for its own vibrant cultural and music scene. Scotland is also the birthplace of golf, with origins of the sport dating to the Old Course at St. Andrews in the 1400’s, making it the ultimate private jet destination for golfers. Located in the southwest region of the United Kingdom, Wales is best known for its rugged coastline, beautiful national parks, distinct Welsh language, and rich Celtic culture. Cardiff, a coastal city and capital of Wales, offers plenty of nightlife and handles the majority of private plane travel in Wales, while airports in Swansea and Haverfordwest handle regional air travel. Located across the Irish Sea from Great Britain, Northern Ireland is known for its Norman castles, glacial valleys and mountains, Celtic and Christian monuments, and coastal links courses that rival the golf found opposite the Isle of Man. Belfast is the capital and most frequently requested destination for Northern Ireland air hire, while flights can also be arranged to Londonderry and Enniskillen. Our UK jet charter company offers on-demand access to planes in the United Kingdom and around the world, all at a moment’s notice. Our network of more than 10,000 turboprops, jets, and airliners will connect you to the perfect aircraft for your flight. We also offer access to jet card memberships, fractional aircraft ownership programs, and individual/corporate aircraft acquisitions & sales. Contact one of our UK air charter advisors or call us directly at +1-888-987-5387 to discuss your private flight with our United Kingdom jet charter brokers. Our services can add hours to your day while skipping the time-consuming hassles of commercial flights. Enjoy all-inclusive, competitive priced quotes on thousands of aircraft, and luxury concierge services to complement your flight.